Mission, the legendary British loudspeaker brand, has always had a reputation for delivering compelling musicality at affordable prices. Launching this spring, the LX-2 standmount speaker and LX-3 floorstander are the perfect embodiment of this tradition, their carefully balanced design delivering maximum sonic expression with minimal compromise, despite their ‘budget’ price tags. As well as being the first speakers to arrive from Mission’s new entry-level LX Series, the LX-2 and LX-3 are the first to benefit from the brand’s talented new design team, which sees the return of several well-known designers and engineers from Mission’s past – now an integral part of its future once again. With the aid of sophisticated modelling tools and software, Mission’s design team has fully optimised the performance of the LX-2 and LX-3 using the most modern technology available. Yet Mission’s original slogan, ‘Music is the Master, Technology is the Slave’, has never been more apt. Months of fine-tuning and rigorous listening tests have ensured that these speakers communicate with engaging energy and detail, bringing musical performances to life with all the vibrancy and finesse one expects of Mission speakers. 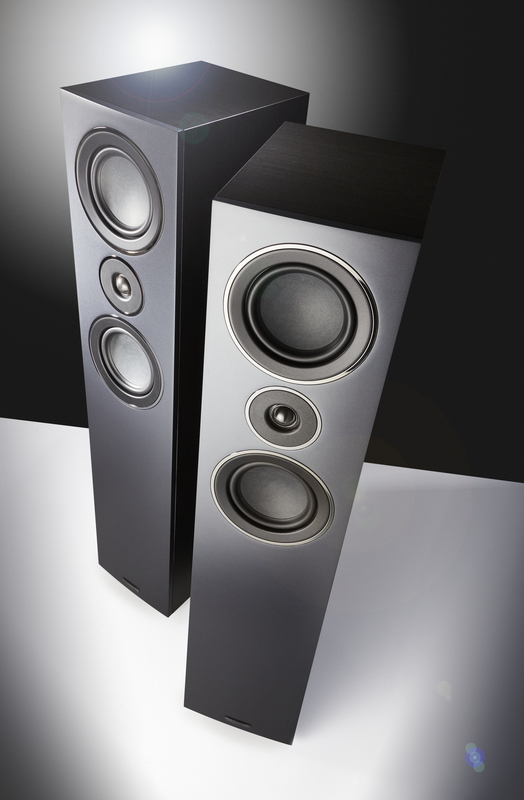 By its very nature, speaker design is about balancing variables and finding the best possible compromise. At entry-level price points, where the cost of production is most constrained by the need to hit a specific retail price, the necessity of compromise is at its greatest. But does one have to accept that a ‘budget’ speaker will always deliver a ‘budget’ performance? Mission’s designers are not the easily accepting kind. They push for greatness in design, whereas most would be happy to stop at ‘good’. 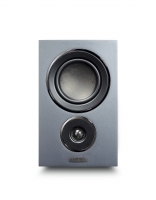 What makes a great loudspeaker? What makes it sing? For Mission, the answer is simple: in a well-matched system, the speakers have to allow the performance of the music to shine through. It’s not a group of notes; it’s a performance. It’s not all about frequency response, impedance, sensitivity and directivity, although they all play a part. To paraphrase a famous expression, it’s the music, the whole music and nothing but the music – and that, in a nutshell, is Mission’s philosophy. For the LX Series, the speakers’ design has been stripped design back to its fundamentals to produce a range of speakers that Mission can be proud of in engineering terms, but even more so in terms of the enjoyment the speakers’ owners will experience. High frequency drive units require extremely consistent parts and manufacturing in order to be selected for a Mission speaker. Given the tiny moving masses involved, one micro-drop extra of high-tech adhesive can destroy the balance of the design, thus affecting sensitivity and frequency response. For the LX Series, Mission has meticulously designed a tweeter with a neodymium magnet, selected for maximum magnetic force in a small space, and a 25mm microfibre dome, chosen for its repeatability and consistency in manufacture. It delivers sweetly incisive upper frequencies, crisp and detailed but never harsh. Both the LX-2 and LX-3 are two-way designs, combining the 25mm tweeter with one 130mm mid/bass drive unit in the LX-2, and two such units in the LX-3. These drivers sport cones fashioned from an advanced fibre formulation, selected for its reduced susceptibility to hygroscopy as well as being very stiff for its mass with excellent self damping. A high-strength ferrite magnet ensures that the magnetic field is directed precisely within the area of voice coil excursion, enabling an ultra-linear performance that minimises coloration. In traditional Mission style, the LX-2’s tweeter is positioned below the mid/bass drive unit, in order to aid time alignment. By placing the treble unit lower than ear level, the path length to the listener is longer than that of the mid/bass unit. As the treble unit’s dome is physically forward of the mid/bass driver’s cone, the difference in path length helps to equalise the acoustic distance. Similarly, the LX-3 positions the tweeter between the twin mid/bass drivers in a D’Appolito configuration, rather than above both drivers in conventional fashion. The LX Series uses a 4th order acoustic (24dB per octave) Linkwitz-Riley crossover network, developed through a combination of advanced computer modeling expertise and many hours of listening tests. It is particularly notable for its ability to balance excellent off-axis performance with a flatter on-axis result. 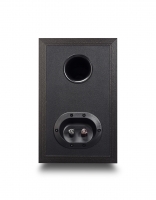 The cabinet is as critical as the drive units and crossover to the overall performance of any loudspeaker system. Designing an effective low-cost box is tricky, as budget dictates that the designer can’t use expensive materials or high mass to create an inert structure. With the help of 3D Computer Aided Design, finite element analysis and laser interferometry, coupled with a great deal of experience, a budget cabinet can be designed that delivers better rigidity with lower radiated noise than most designers would believe achievable at such low material cost. 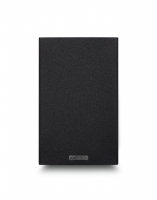 As the Mission LX-2 and LX-3 emphatically prove, like many Mission designs before them, budget loudspeakers can truly sing, whilst also being smart, practical and unfussy in terms of positioning and room dependency. The Mission LX-2 and LX-3 will be available from late spring. A smaller standmount speaker, the LX-1, and two larger floorstanders, the LX-4 and LX-5, will join the LX Series later in the summer, along with a centre channel speaker for home cinema use.